Chinatown, one of the most popular sightseeing spots in Yokohama. Yokohama Chinatown belongs to the largest three Chinatowns in Japan. This town was constructed in the middle of 19th century. Now this Chinatown offers many Chinese restaurants. In 2004, when “Minato Mirai Line” opened, Motomachi-Chukagai Station” is also open. This station is closer to Chinatown, more tourists come to China town. We’ll show you Chinese restaurant Shimonsyuro in China town. 5 -minute walk from Motomachi-Chukagai Station. 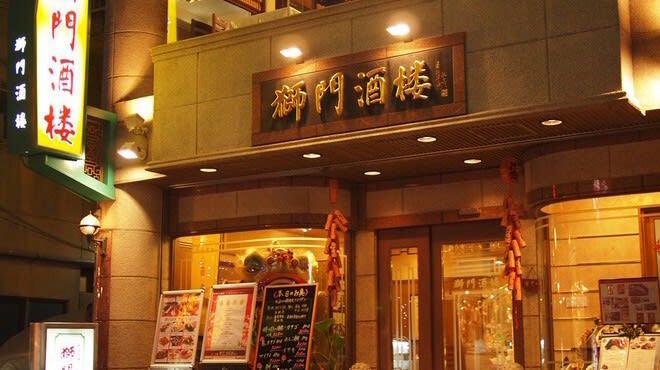 The name of the Chinese restaurant “Shimonsyuro” comes from lion which is seen as a gatekeeper of “kanteibyo”. It opened in 1983 and loved by local people. Main menu is Cantonese food, sea food, and original menu with seasonal ingredients. Interior of this restaurant is simple and elegant. Sitting around table at 1st floor, there are 7 rooms for maximum 135 person at 2nd floor. You can enjoy meal at this restaurant for special occasion or daily use. Many original menus you can find at Shimonsyuro. 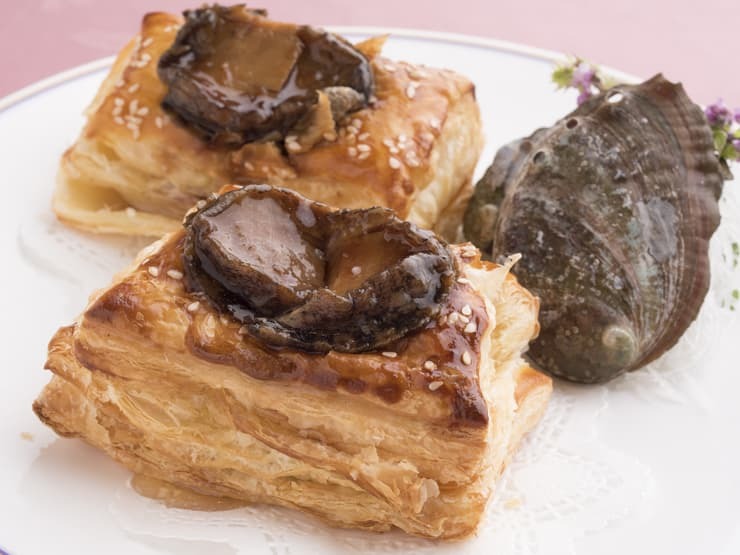 Especially Chinese nouvelle cuisine, “Hong Kong style grilled abalone wrap pie dough”. Rich butter flavor of the pie dough! Nice collaboration with Chinese and western cuisine. Combination of abalone and pie is excellent! In 2009, this menu won the price “ Bishokusetsu-award”. Let’s try this and taste nice harmony of Chinese and western cuisine. “Ike yopparai ebi no yubiki” –combination of saimaki prawn and shaoxing wine (Chinese wine) is one of the popular menu of Shimonsyuro. Because of elegant appearance and sweet taste, Kuruma prawn is said that the top-class see food. Only differences between Saimaki prawn and kuruma prawn is different by size. More than 15cm of size called Kuruma prawn and smaller than 10cm size called Saimaki prawn. 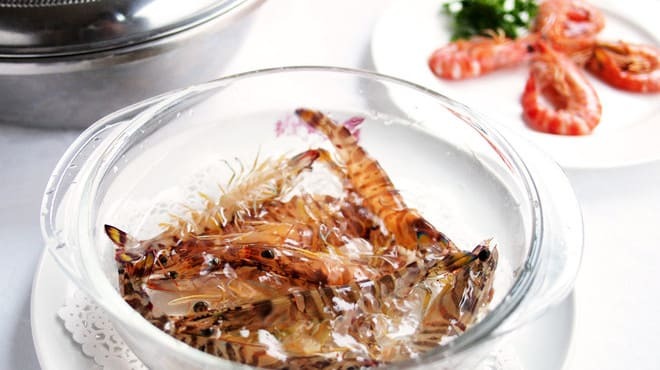 Because of cooking with shaoxing wine, prawn taste sweeter and more delicious. Let’s enjoy the taste of sweetness & freshness of prawn, “Ike yopparai ebi no yubiki”! Speaking of Chinatown, you should try Chinese food here! Besides eating at restaurants, eat steamed buns or Chinese confectioneries at a street stall is also very good. Not only food, but also there are many variety stores, amusement stores. Especially at the variety stores, it must be fun to do shopping for bags, Chinese dresses, tableware, cooking utilities and others. There are also many fortune tellers. For some popular fortune tellers, you have to stand in line. 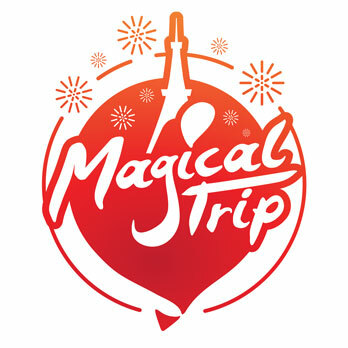 We’ll recommend you to join a theme park “Yokohama daisekai(DASKA)”. You can enjoy Chinese food, learn history, experience traditional Chinese performing arts. Let’s join a special walking tour wearing Kimono and enjoying a photo shoot. Choose your Kimono yourself and the photoshoot at a historic building, beautiful Japanese garden and modern high-buildings, colorful China Town, as a background. The well informed guide will guide you. It must be fun!